A new podcast exploring technological innovation. There’s so much, so often—what innovations really matter, right now? In the race to unveil the next big thing, we often hear about technology and innovations long before they become reality. How do we know what will soon impact the very way we live our lives? “The Future According to Now” is a podcast from Atlantic Re:think, the branded content studio at The Atlantic, and Fidelity Investments. Follow along on your favorite podcast platforms. Battery-operated cars and homes are not far off. Scientists are already imagining the ways that a new type of battery will change the world–but first, they have to create it. Several groups are on the cusp of a portable power revolution. 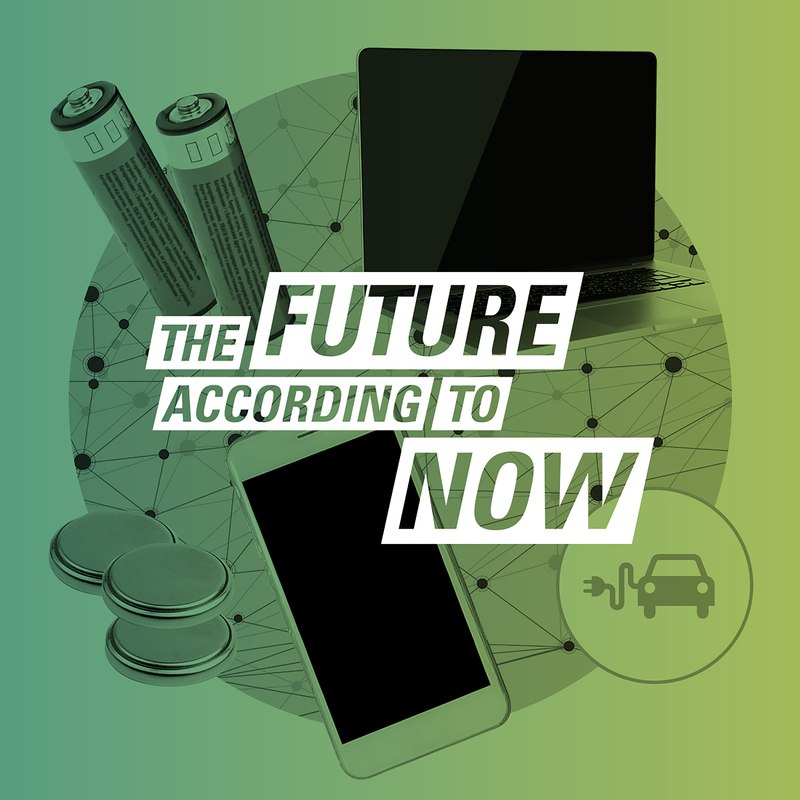 We explore the potential of a new type of battery, and the challenges scientists face in creating it, in this episode of “The Future According to Now”, a podcast from Atlantic Re:think, the branded content studio at The Atlantic and Fidelity Investments. Technologists are building computer algorithms that will soon match something that has, until now, been uniquely human: The ability to recognize a person as soon as they walk into a room, even if they’re not looking right at you. There will soon be a day when your home knows exactly who you are. We explore the potential of 3D scanning technology, and the ethical questions surrounding its adoption, in this episode of “The Future According to Now”, a podcast from Atlantic Re:think, the branded content studio at The Atlantic and Fidelity Investments. Is This the End of Plastics? Plastic was once considered revolutionary, but as our oceans become clogged with plastic waste, and the petroleum-based production process continues to expel massive amounts of greenhouse gases, the material we rely on so heavily is now considered an environmental hazard. Several startups are introducing eco-friendly alternatives, and they’re being rewarded with contracts from large-scale manufacturers. We explore the burgeoning eco-plastics revolution in this episode of “The Future According to Now”, a podcast from Atlantic Re:think, the branded content studio at The Atlantic and Fidelity Investments. By the year 2050, more than 60 percent of the world’s populations will live in cities. Researchers, entrepreneurs and policy makers are working on ways to give our huge urban areas a technological upgrade, planning the connected infrastructures that will support tomorrow's "smart cities." We explore the potential of the connected city in this episode of “The Future According to Now”, a podcast from Fidelity Investments and Atlantic Re:think, the branded content studio at The Atlantic. Follow along at theatlantic.com/fidelitypodcast, @atlanticrethink, or let us know what you think by leaving us a rating or review. The search for cures to hundreds of diseases and conditions has in recent years become increasingly focused on genes and genetic mutations. Scientists have begun to understand which genes are linked with certain diseases, which genetic mutations lead to certain reactions to medicine, and much more. Now, an emerging technology is utilizing this research in a revolutionary approach to treatment: recoding our genes. Researchers are using this approach to adjust human genes in order to eliminate all kinds of diseases. We explore gene editing in this episode of “The Future According to Now”, a podcast from Fidelity Investments and Atlantic Re:think, the branded content studio at The Atlantic. Follow along at theatlantic.com/fidelitypodcast, @atlanticrethink, or let us know what you think by leaving us a rating or review. Doctors are on the verge of using 3-D-bioprinted human organs and bones in their patients' transplants and bone grafts. Astronauts will soon use 3-D printers to repair damaged spaceships and the space station. 3-D printing technology has advanced remarkably since it was first introduced – but to truly impact the way we live our daily lives and the way industries operate, the tech must continue to evolve. We explore its potential in this episode of “The Future According to Now“, a podcast from Fidelity Investments and Atlantic Re:think, the branded content studio at The Atlantic. Follow along at theatlantic.com/fidelitypodcast, @atlanticrethink, or let us know what you think by leaving us a rating or review. There's a silver tsunami coming: By 2050, the number of Americans over the age of 65 will double, and the number over 85 will triple. In an ideal world, each would have at least one human caregiver to meet their physical and emotional needs as they age. But that's not a reality for most people. Enter the robot caregiver. Robots could help solve this workforce crisis, just as robotics have already started to impact the wider health care industry. We explore their potential in this episode of “The Future According to Now“, a podcast from Fidelity Investments and Atlantic Re:think, the branded content studio at The Atlantic. In the race to unveil the next big thing, we often hear about technology and innovations long before they become reality. How do we know what will soon impact the very way we live our lives? “The Future According to Now” is a podcast from Fidelity Investments and Atlantic Re:think, the branded content studio at The Atlantic. Follow along at @atlanticrethink, or on your favorite podcast platforms. This Content is made possible by our Sponsor; it is not written by and does not necessarily reflect the views of The Atlantic's editorial staff. See our Advertising Guidelines, or email advertising@theatlantic.com to learn more.